Spike a fever – run for some Tylenol. Get an ear infection – dash for an antibiotic. 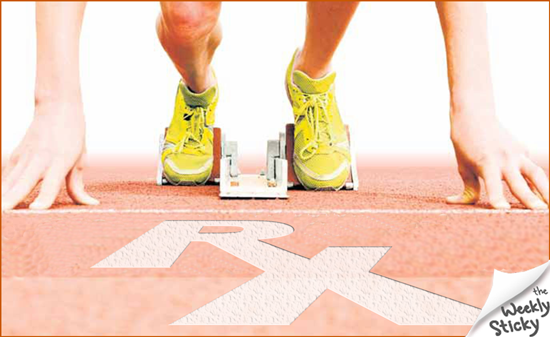 Big Pharma wants us to race for a drug every time a symptom or illness challenges us. But is it better to let your body run its own race without interference from the drug companies? Research reported in the Journal of Leukocyte Biology1 found evidence that elevated body temperature helps immune cells work harder to fight colds and the flu – so much for lowering fevers with Tylenol. Still yet another study from the journal Pediatrics2 reports doctors write over 10 million UNNECESSARY prescriptions for antibiotics every year, dangerously raising the risk of antibiotic resistant infections for society as a whole. Chiropractors acknowledge that symptoms are your body’s attempt to save itself… not the start of a 100 yard dash to CVS. Current best practice is to wait for natural responses like fever and inflammation to do their job, instead of ‘false starting’ with drugs and interfering with what nature knows best. As long as you’re in adjustment (clear Nerve System), your body will innately know how to run its own healing race.